I would love to hear your feedback regarding the podcast. I can be reached via email, Twitter, or the suggestion box above. Thanks for reading and listening! Episode 4: The Football Friday Pow Wow: Week 1. The Best NFL picks in Survior, Pick’em, and Fantasy Football. This is the first week of the Football Friday Pow Wow. 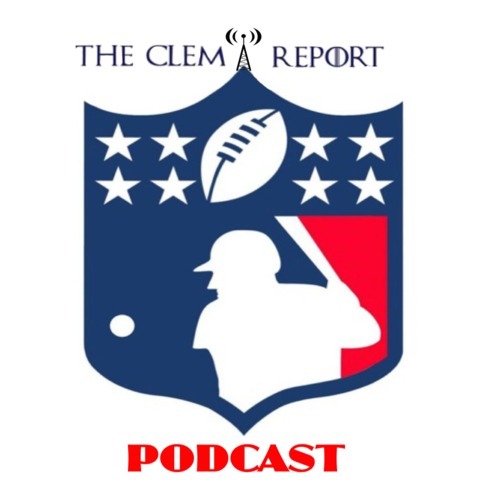 Each week Clem will discuss the best bets in the NFL for pick’em, survivor pools, and fantasy football (draft and daily salary cap). For any specific gambling or fantasy football questions, contact Clem on Twitter @TheClemReport. Here is to another glorious season of the best sport in the world. Clem discusses three fantasy football players who will rebound from last season and three that will not live up the the hype from last season. Clem chooses winners for all of the NFL divisions and highlights which teams with “longer odds” he would consider betting. Episode 1: Straight Cash Homey. 2014 NFL Over/Unders.